Golf originated here on the now famous St Andrews links land hundreds of years ago. 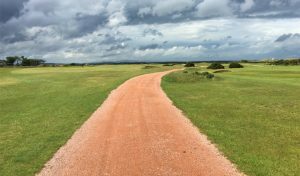 The links landscape was perfect for golf because it provided an interesting mix of tight grass, undulating dune features and areas naturally eroded down to bare open sand. Gradually over time the open sand areas evolved into a gorse dominated habitat. 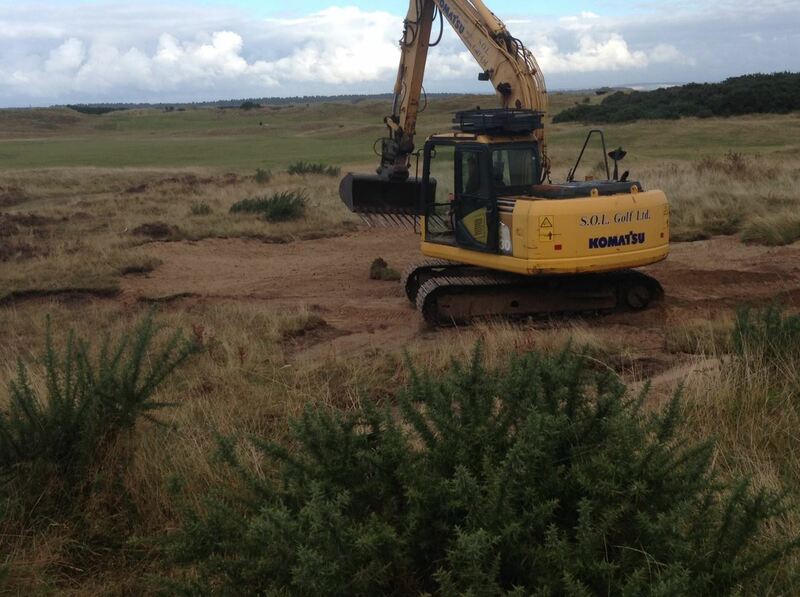 On the New Course we have been working to re-establish open sand areas as a key feature once again. 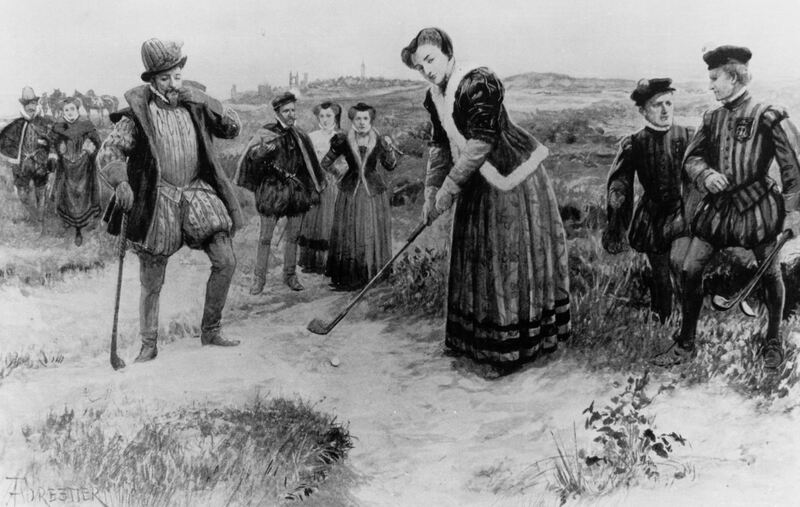 Mary Queen of Scots playing from sand at St Andrews. Credit: National Library Scotland. The idea of open sand areas was first suggested back in 2005 in a report written by our ecological advisor Bob Taylor from the Sports Turf Research Institute. An extensive document was produced on how to best manage our increasing population of gorse. Taylor suggested tackling the gorse in several different ways, one of which was to remove the plant in its entirety and any organic material to leave the area open as bare sand. This habitat would be beneficial to invertebrates and the food chain they support. A few small areas were trialled on the Links; the left hand side of the 3rd fairway on the New Course and the right hand side of the 7th green on the Jubilee Course. 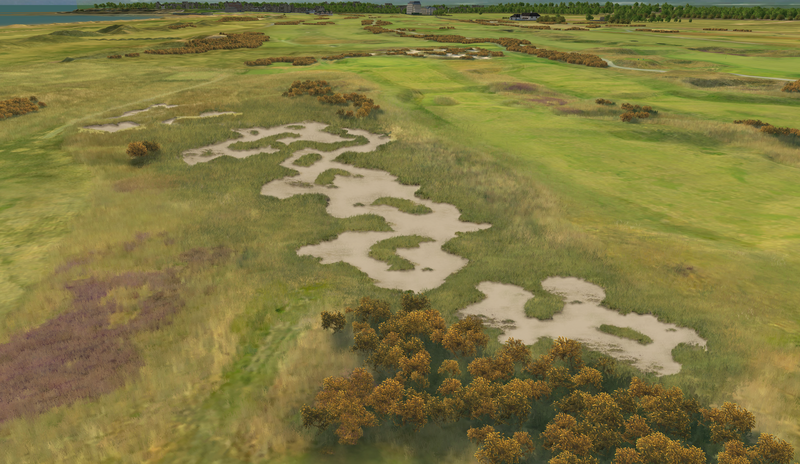 Open sand areas have become increasingly popular on many famous links courses in recent years. Turnberry, Royal Porthcawl and Royal Troon have all embraced the recreation of this lost habitat. Indeed it was a site visit to Turnberry with the esteemed golf architect Martin Ebert which cemented our plans to recreate these areas ourselves. Martin drew up proposals which were presented to the Links Management Committee. 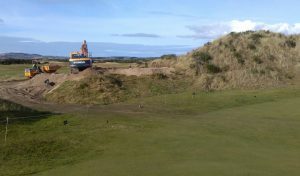 Works began after the Alfred Dunhill Links Championship to the large area between the 11th and 12th holes of the New Course. 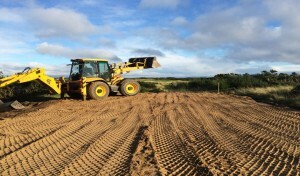 The vision of Martin’s plan was turned into reality by excavator operator, SOL GOlf with the help of the St Andrews Links greenkeeping team. 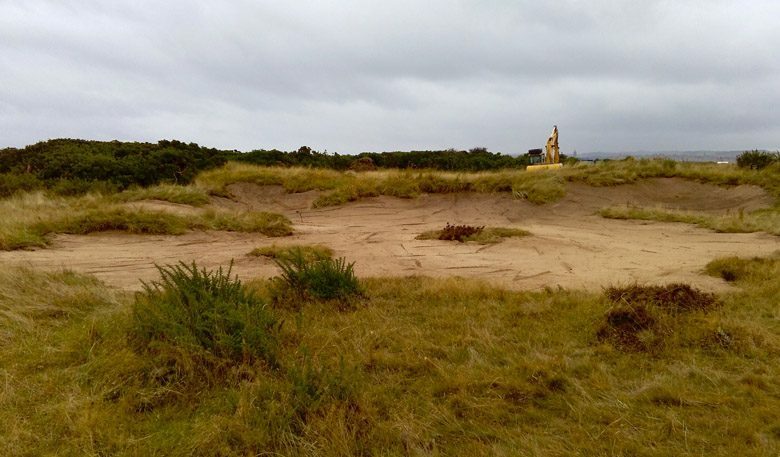 In the coming weeks, more areas will be transformed from scrubland into stunning open sand. Works will concentrate on holes 6 and 7 of the New Course. Look out for updates on our open sand excavation here on the official blog soon.